Google has made an advancement in machine learning that will see its translation service become significantly more accurate. In fact, the service has become so much more accurate that in a test which compared the performance of the software to that of human translators, Google found that in some language pairings its software was actually very close to matching the fluency of humans. Called Google Neural Machine Translation (GNMT), the new system is only currently translating Chinese to English, but Google says it will be rolled out further and will eventually replace the current Google Translate system altogether. Capable of performing more difficult tasks than the current system, GNMT could make it easier for people to read web pages or exchange messages. The new system is capable of performing more difficult tasks because it uses neural network artificial intelligence, similar to the technology that underpinned Google's AlphaGo program, recognizing commands spoken into Android smartphones. Using deep neural network artificial intelligence allows Google Translate to learn in much more complex ways. Where the previous system took sentences and broke them up into individual words and phrases without context to translate, the new system is able to read and analyze a sentence from beginning to end, looking at the entire collection of words. 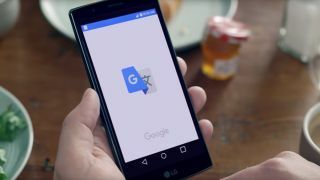 Google reports that its new system reduces translation errors in some languages by up to 60% compared to its old system. By improving machine translation, Google is moving us increasingly closer to a future in which AI systems will be able to quickly and efficiently recognize and respond to natural human language.